The day that superhero fans have long awaited is here. 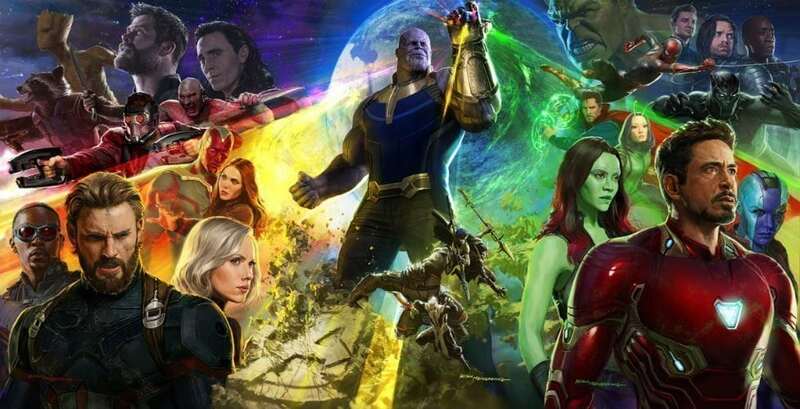 The first trailer for Avengers: Infinity War has debuted to the public (assuming you don’t count the leaks, which I don’t. I have integrity.) This is essentially the moment that the Marvel Cinematic Universe (MCU) has been building towards since Marvel Studios was formed in 2005 and then released Iron Man in May of 2008. Now, Infinity War must rely on the sum of its parts for success, as its many characters converge into one blockbuster film. What is just as impressive as beginning to wrap up a near-10-year plot, is just how many characters they plan on including in the film. Hollywood has seen a number of star-studded films through the years, some performing well and others flopping. Some examples include Ocean’s 13, Movie 43, Expendables 3, and The Departed. However, I argue that there has never been a movie with as many stars as Infinity War is slated to have. While this may be an obvious statement for some (they had enough starpower to fill four, count ‘em, FOUR Vanity Fair covers), I wanted to dive deep into the stardom that will wage war come May of 2018 (almost exactly 10 years after the first Iron Man). My first question when looking at the starpower of the film was “What exactly makes a star?” In 2000, James Ulmer developed The Hot List, which ranked and categorized major celebrities with a letter grade from A+ to D. This was when the terms “A-List” and “B-List” first came to fruition, as Ulmer would rank stars based on their bankability, the actor’s ability to guarantee blockbuster success simply by being in the film. However, there isn’t necessarily a modern day “Hot List,” so I had to create my own scale. In my subjective opinion, there are at most 20 A-List stars set to appear in upcoming Avengers film (if you include Peter Dinklage’s rumored appearance). A stricter standard would bring that number between 10 and 15, which is still a far cry more than the average film. And then, if we dive into the rumor mill, we find stronger evidence of Disney’s absurd investment into the film. Earlier in 2017, Dan Cathy, Pinewood Atlanta Studios co-owner, claimed that there was a film on his lot that had a budget of $1 billion. Since Disney rented the majority of the facility for the year, many people assumed that Cathy was talking about Infinity War and its untitled sequel. If split evenly, that would come out to a $500 million budget per film. Currently, the top budgeted film is Pirates of the Caribbean On Stranger Tides at $378.5 million. Now, let’s take into account the 2016 rumor that Disney paid RDJ $200 million to appear in both Infinity War and its sequel. To put that in perspective, the entire budget of Iron Man 3 was $200 million. These, of course, are just rumors, outlandish ones at that. But, it definitely points to the fact that Disney has poured a ton of money into their cast and I wouldn’t be surprised if Infinity War became the highest budgeted film of all time with one of the highest paid casts. As I scoured through internet forums and blogs, there are many that claim It’s a Mad Mad Mad Mad World as the most star studded cast of all time. And it’s no surprise, since filmmaker Stanley Kramer attempted to recruit every comedian and comedic actor of the time. However, if we want to continue to use bankability, I think Infinity War wins out over Mad World. It’s a tough comparison though, since the movies exist in completely different ages of Hollywood. Regardless, I stand with my claim that Infinity War will be the most star studded movie of all time. Probably only to be dethroned in 2019 by its unnamed sequel. We will only use your info to send you awesome content and exclusive deals. We hate spam too. You’ll get great content and exclusive offers. Nothing more. © Innovation & Tech Today 2019. All rights reserved. *Your information will only be used to send you great content and special offers.